UKPN: Lets get the obvious question out of the way, how did you start in poker? TC: Poker started for me playing with the boys at school and home games with my family, which progressed to casinos playing the small stakes rebuy kind of thing. That was 9 years ago and here I am today. UKPN: So, where next for you? Are you off to the World Series? TC: This is actually the first Series I might actually miss! I've just opened a new restaurant and stupidly didn't check the schedule of this year's WSOP and the opening day is right in the middle of the Series. I'll probably fly out there at some point; I really want to play the Omaha Main Event. UKPN: Why is it you like Omaha so much? TC: I think Omaha is a much more interesting and skilful form of poker. I think there is a lot more to understand in Omaha than there is in Hold'em, there is such a bigger range of hands and redraws to think about. Everyone who learns poker learns Hold'em, but Omaha is a much harder game to beat, most of the good players play Omaha. A bad Hold'em player can always run good but the good Omaha players are always on top. UKPN: Do you play Omaha online or live more? TC: It's 50/50. I don't have a preference; it's probably the only game I enjoy as much online as live. I find playing NL Hold'em online very boring but I always enjoy Omaha. UKPN: Is Omaha a much looser game than Hold'em? TC: It's actually a much more solid game, also because of the fact that its pot-limit and not no limit and a lot less pre-flop based. Anyone can bet the best hand pre-flop in Hold'em and win. In Scotland, we play 6 card Omaha which is a hard game to beat; a lot of people think that's a proper sick gambling game but the proper four card game is very, very skilful. UKPN: What is the key skill in Omaha? TC: In Omaha, it's a lot easier to get away from hands. In NLHE, it's impossible to pass the nuts on the flop, whereas in Omaha it's very easy to get excited about flopping the nuts and get yourself into a bad situation. It's not all about the flop, it's about realising percentage-wise you are probably behind and that I think is where the skill comes in Omaha. UKPN: So how did you learn Omaha? 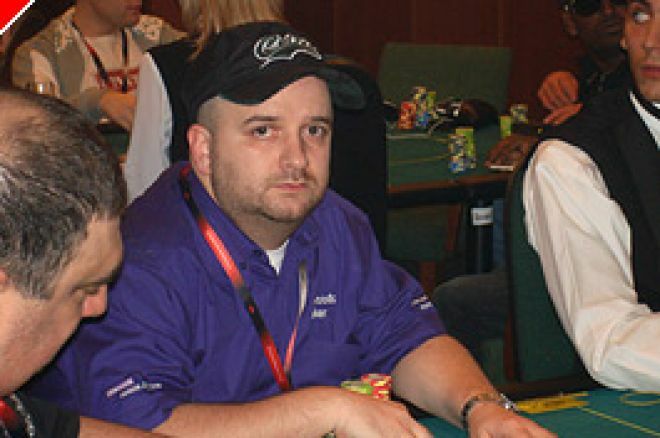 TC: I'm lucky I've played a lot of Omaha with John Kabbaj who is probably the best Omaha cash game player I've ever seen. Dave Colclough is another player I've learnt a lot from. All the best cash players in Britain play Omaha which makes it hard because you are playing against better players. UKPN: Are there any books you can recommend? TC: I'll be honest I've never read an Omaha book. I've read "Supersystem" and Phil Hellmuth's books and I really like reading people's insights into the game but I don't think the big name players are good enough at Omaha to write a book about it. If you look at players like Brunson and Hellmuth, they've almost never won a tournament other than Hold'em. I think that's why Omaha is so behind Hold'em. UKPN: What mistakes do new Omaha players make? TC: It's so easy to spot a new Omaha player, they overplay aces, they see a big pair and get over-excited. They get committed to their hand pre-flop when Omaha is very flop dependant. UKPN: So hand selection is paramount? TC: You have to play matching cards, they have to be connected or suited in some way, there has to be an element of all four cards working together. Bad Omaha players will only see two cards, the two they want to play and that gives the rest of us the advantage. UKPN: And your favourite hand? TC: Give me 9TJQ over AA72 any day! UKPN: Are Omaha tournaments different to Hold'em tournaments? TC: I don't think the Hold'em players like it; there isn't enough squeeze in Omaha tournaments. Omaha tournaments and Omaha cash are so much different. It's hard to squeeze somebody in any pot limit game, you can't put someone to a decision for their tournament life so quickly or easily. You can't ask a question of somebody and work out whom at the table you are going to push around, it's a lot more skilful. UKPN: Are Omaha tournaments the next big thing? There are plenty of them at the World Series this year. TC: I was chatting with a friend the other day and I have a theory about this. The fields are a lot smaller in Omaha games and the buy-ins are a wee bit on the larger side. I think basically they are thinning down the fields to give the bigger players a chance to win the bracelets. I played the $10,000 Omaha event last year and it was probably the smallest field in the whole World Series. UKPN: Who do you fancy in the Omaha events this year? TC: Rafi Amit, who won the bracelet in 2005, he is a fantastic cash and tournament player, a tough, tough player. You can't dismiss Ben Grundy either, he is a fantastic player. I like John Kabbaj, he is probably the best, so I'll go for my pal John. UKPN: So….you don't mind a bit of Omaha then? TC: It's probably the most fun and the hardest game to learn in poker. Any good NL Hold'em cash player who learns Omaha, I defy them to go back to playing NL, they very rarely change back. It's so much more fun, there are so many more things that can happen to you. I love it.